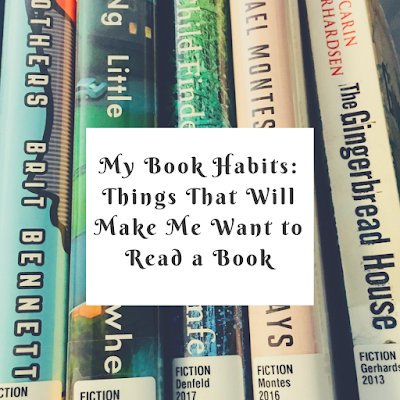 I've noticed patterns in my reading/book selection habits over the past few years (especially after I started using Goodreads regularly). This isn't an exact science, but here are a few things that will pretty much guarantee a book will end up on my "To Read" list. - It's labeled as a "thriller," "suspense," "crime," or "mystery" novel. Everyone has a favorite genre. I like the thriller/suspense/crime/mystery genre. New releases that fall under any of these categories are usually added to my "To Read" list immediately. - I've previously read and enjoyed another book by the same author. This is a pretty obvious one. I've been disappointed in the past when choosing books for this reason, but, for the most part, an author will continue to work his/her magic on me. - Reviewers refer to it as "weird" or "fucked up." I love a good mindfuck, so I can't stop myself from adding books that other readers found disturbing, confusing, twisted, or any combination of these things. - It was recommended by someone with similar taste in books. This is probably another obvious one, but the recommendations aren't always "typical" books for that reader. I actually think I'm even more likely to add a book to my "To Read" list if it falls under that category. So, for example, if someone who also reads a lot of thrillers gives a glowing review for a romance novel, I'll probably read it (even though romance novels aren't really my thing). - It has a cover I find aesthetically pleasing. No, I don't always choose books solely based on the cover art. But, if I'm scrolling through Goodreads in search of some new books to check out and a cover catches my eye, it will usually end up on my "To Read" list. - It contains specific topics either in the main plot or in a subplot. We all have things that pique our interest. Mine happen to be on the darker side (for the most part). If I'm looking for a new book to check out, certain topics will immediately grab my attention. A few of these include: kidnapping/missing person, mental illness, suicide, adult books about teens (I do read YA as well, but I tend to prefer adult fiction), murder, cults, love lost (though I'm usually not interested if the book falls under the "romance" genre), and memory loss. - It has a person's name in the title. I'm especially drawn to books with titles like The [fill in the blank] life of [person's name]. There are a total of 8 books I've completed within the last three years (since I started using Goodreads) and 41 books on my current "To Read" list that contain a person's name in the title. - The title contains certain words. I could probably go on and on about the things that will make me want to read a book ... But I won't. This list is comprehensive enough, I think. So now I have to ask ... What will makes you want to read a book? 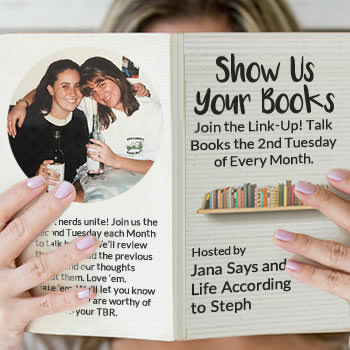 Are there specific topics you like to read about, or are your choices a little more random? I'm also always looking for book recommendations, so please feel free to leave some in the comments!